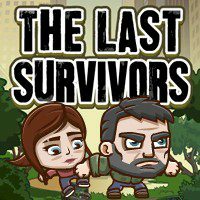 The last survivors should find a shelter and keep themselves save from zombies. Can you help them to find one? The last survivors of this planet are here and they need some assistance to get to a shelter. The area is dangerous and there is nothing you can trust, except your reliable partner. Work in team and press buttons to unlock new areas and find the exit.